Paradigm Aerospace Corporation, a Metro Aviation Company, is now utilizing its second paint booth, which means more room to paint and faster completion times. The new Garmat booth utilizes improved airflow, fresh air recovery and increased lighting. The paint booth has a 3.0 million BTU furnace with baking capabilities. Both the booth and its adjacent mixing room are explosion proof and equipped with separate fire suppression units. 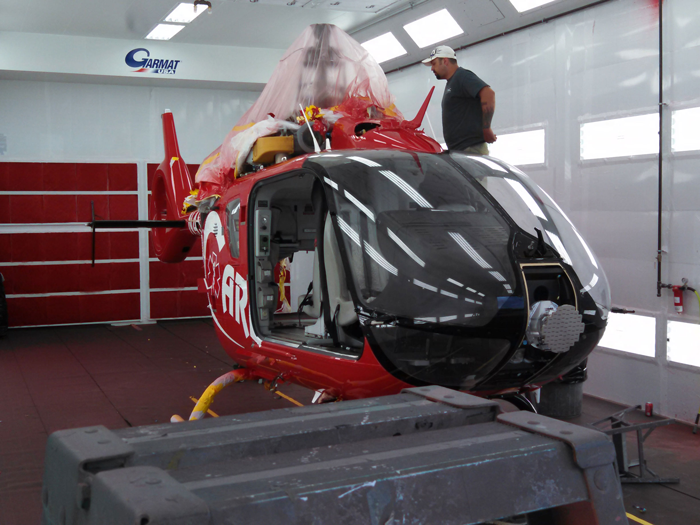 With the added paint booth, PAC can paint twice as many aircraft in a year. “We have rid ourselves of the bottleneck effect that comes from having just one paint booth,” said Fisher. He says the staff is looking forward to seeing the long-term results of the new equipment.